After a long weekend of eats, I was craving a big bowl of veggies tonight and I wanted something warming, fresh and cozy. 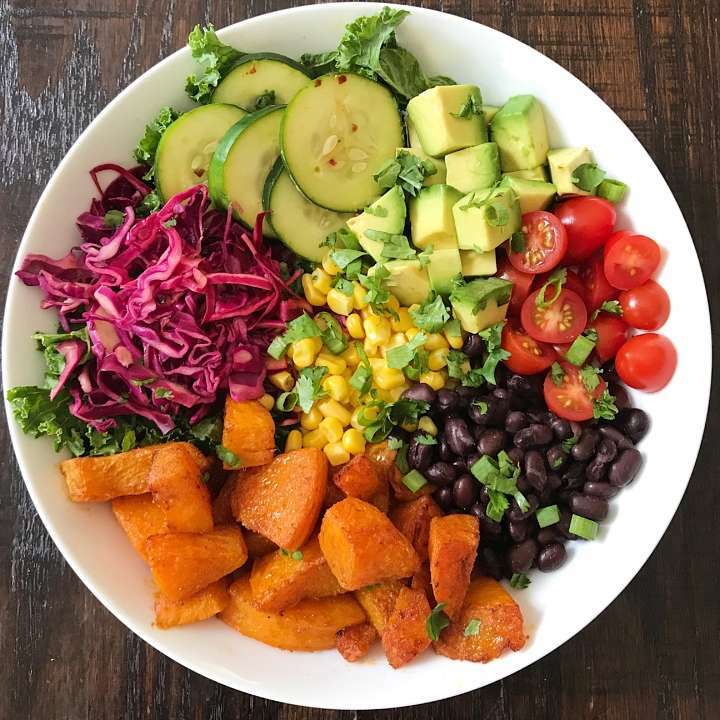 Spiced & Roasted Butternut Squash, 20 minute Pickled Cabbage, 10 minute Pickled Cucumber, Black Beans, Corn, Tomatoes and Avocado. Packed with flavor and so delicious! An easy plant-based dinner big on flavor! Spiced and Roasted Butternut Squash, Quick and Easy pickled cabbage and pickled cucumbers, avocado, black beans, corn and tomatoes.